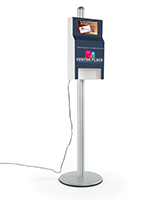 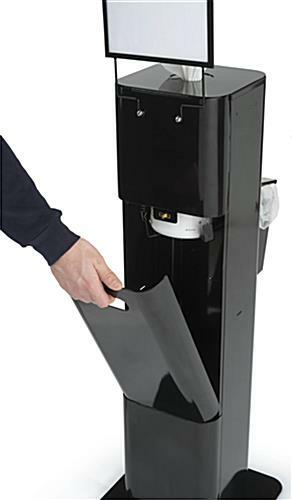 This hand sanitizer wipes dispenser made of steel will be an instant sanitizing solution at your bank, office, school or gym. 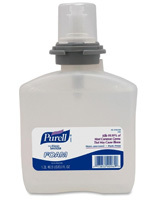 With a built-in inside spring system you are allowed to use different size cleaning containers of disinfecting products up to a max size of 7.3" x 7.3". 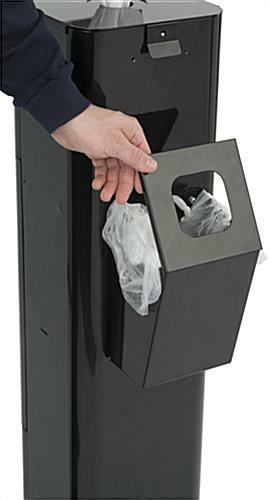 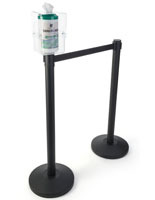 The black antibacterial wipes dispenser features a trash bin with metal slots that can hold a plastic bag for disposal, perfect for any gym or grocery store. 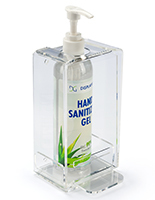 This instant sanitizing solution also includes a slot in the back for storage. 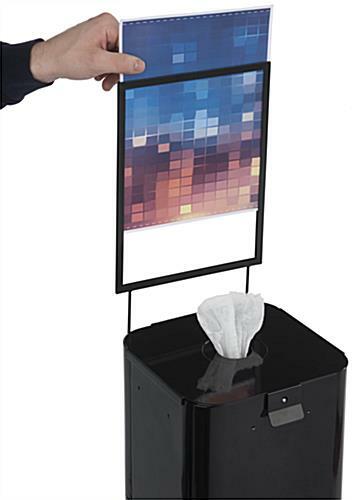 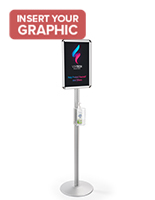 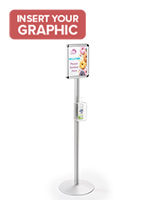 Above the cleaning containers on the wipes dispenser, sits an 8.5” x 11” slide-in portrait sign frame that can be mounted on any side. 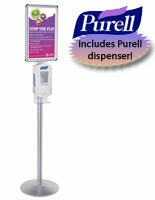 So maintain the cleanliness at your workplace and order your own antibacterial cloth distributer today! 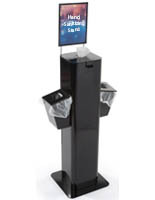 14.3" x 53.3" x 20.0"
9.3" x 39.5" x 9.0"
5.8" x 9.0" x 4.8"